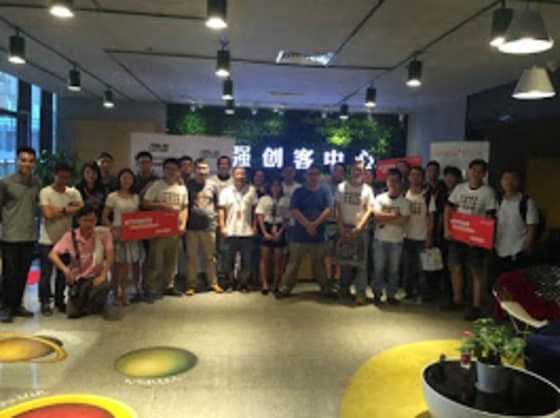 The second in a series of Chinese developer hackathons took place last weekend (22nd and 23rd August) in Shenzhen. Once again there was an overwhelming positive response, with over 170 people signing up online for the pre-hackathon and 30 people turning up onsite. 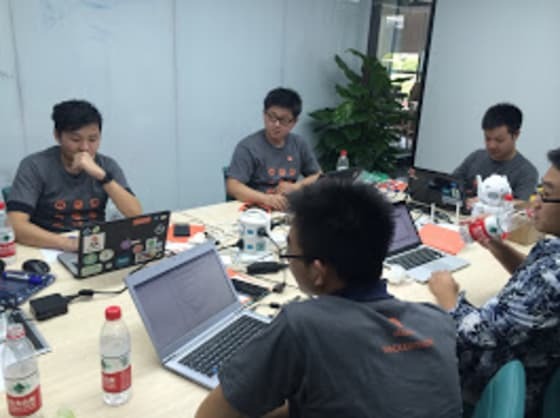 This developer hackathon unlike the prior one in Beijing not only focused on Ubuntu Phone Scope and app development but brought IoT into the fold. 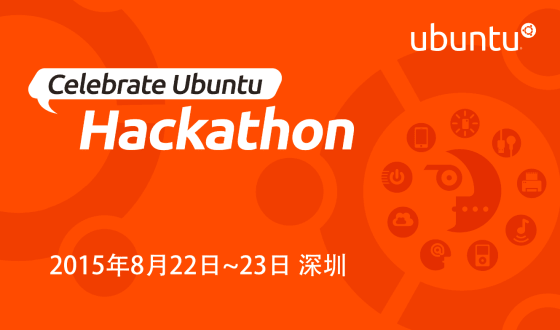 Canonical team members carried an entire workshop during this hackathon focused on ‘Snappy’ Ubuntu Core, the super-lightweight version of Ubuntu that powers even the smallest of devices. Over the course of this 30+ hour hackathon, seven different teams formed and presented their work through a series of demo sessions. Throughout the event, there were constant interactions with people online as well through Weibo. 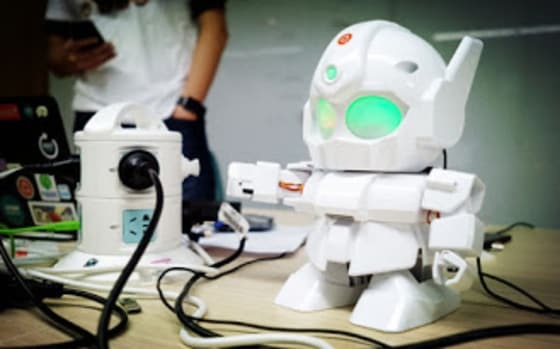 Whilst there were many noteworthy contributions, a couple of ones stood out such as Project MrRobot which is an Ubuntu Phone enabled Robotics app that has the feature, touch and handshake controls to interact with Rapiro robot. This submission has already gleaned some media attention with Softpedia already publishing an article about it. Another noteworthy contribution was IoT Ranger, an app that integrates both Ubuntu Phone and Ubuntu Core. This submission received the coveted IoT Beaglebone Black prize at the event. Asus was one of the main sponsors behind this event who granted each registrant with a prize and supplied a portable projector as one of the grand prizes. Beyond the projector, there were a host of other prize giveaways such as a Meizu MX4 Ubuntu Edition smartphone, a Cherry Mechanic keyboard, an Ubuntu backpack and a portable speaker which was sponsored by Ubuntu Kylin. In addition to all l the great contributions that were revealed at the event, the hackathon provided participants with a fun environment in which to develop. 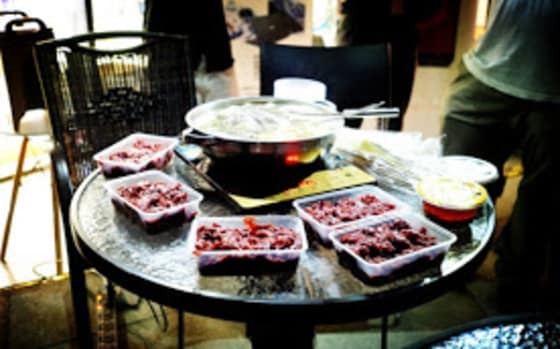 The location sponsor, Huangqiangbei Maker Center, not only provided ongoing meals and snacks but kept spirits high by providing a midnight hot-pot as a treat to keep the momentum going during the wee hours of the night. This was a truly great and rewarding hackathon and we thank and congratulate all of those who participated to make the event a success.